Happy Friday! It's the beginning of another long weekend. 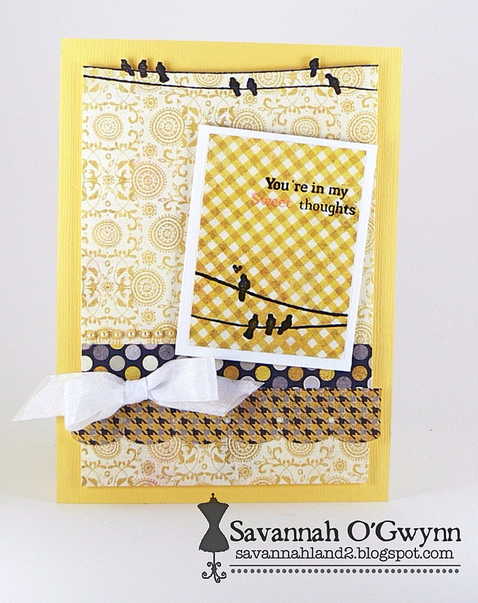 As if that's not thrilling enough, this sweet card by Savannah is sure to put a smile on your face! The Authentique papers in this month's Fresh Baked Kit provide so many different looks -- vintage, modern, classic and funky. I love to mix and match and Sav's done a great job here, too. Our Fresh Baked Kits are selling fast -- only FOUR left, so don't miss out -- order yours today! If you or someone you know is interested, our Design Team Call has one more week before the submission deadline. 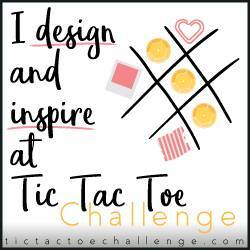 We've gotten so many fantastic applications so far -- and have loved seeing so much talent!! A BIG thanks to all our new friends and fans on PMB's Facebook page -- you all rock! Have a fantastic weekend and check back for lots of fresh new creations! 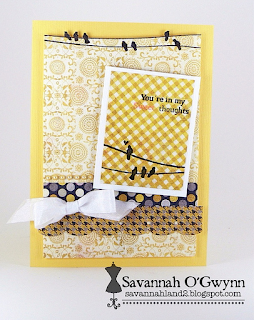 I adore all the fun yellow in Sav's card! So, so, so cute! Nothing less than awesome from Sav, ever! THis looks great. Love the 'card within a card' idea. Brilliant! Sav makes the cutest stuff. Love the yellow!